Happy humpday guys! 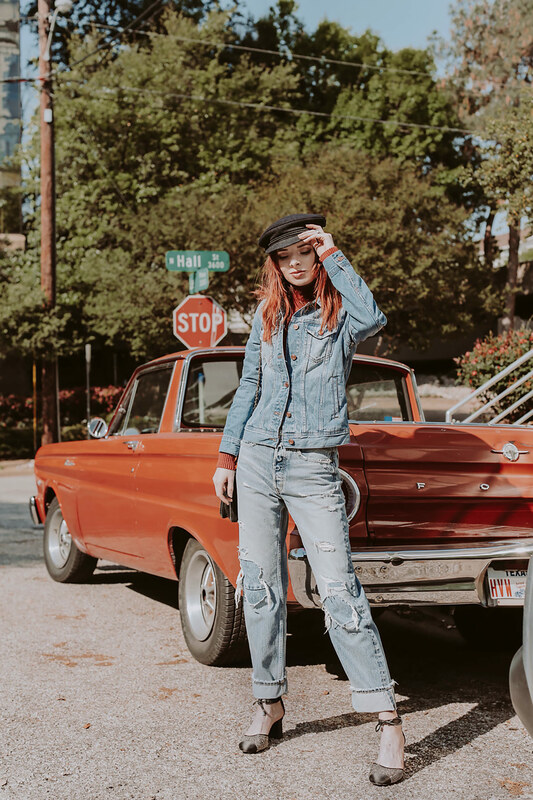 Shopbop is having their big 2018 sale event and it’s a good time to take advantage of it as we are heading into spring/summer. I know I’m dreaming of warmer weather and maybe a little staycation by a pool soon. I need a new swimsuit and I am loving the classic and flattering one pieces by Karla Colletto. 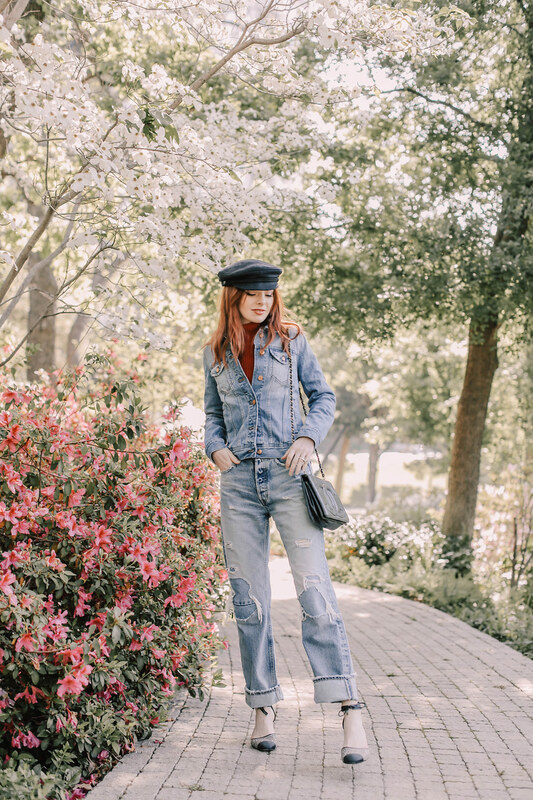 If you like the jeans I am wearing here, then definitely check out the selection of Moussy denim while the sale is going on! I have been wearing mine so much that I am already thinking about another pair. Here are some of my favorite picks from the sale right now! Here I am wearing Moussy jeans with a J. Crew denim jacket, Armani heels from three years ago, a vintage Chanel bag, and a red mock neck sweater. My favorite denim. You are excellent. Would it be too outrageous to say that I love every single one of your recommendations and I want them now? Probably for my bank account it would be! I especially love the green top/blouse and the blue mules, so interesting yet so classic! 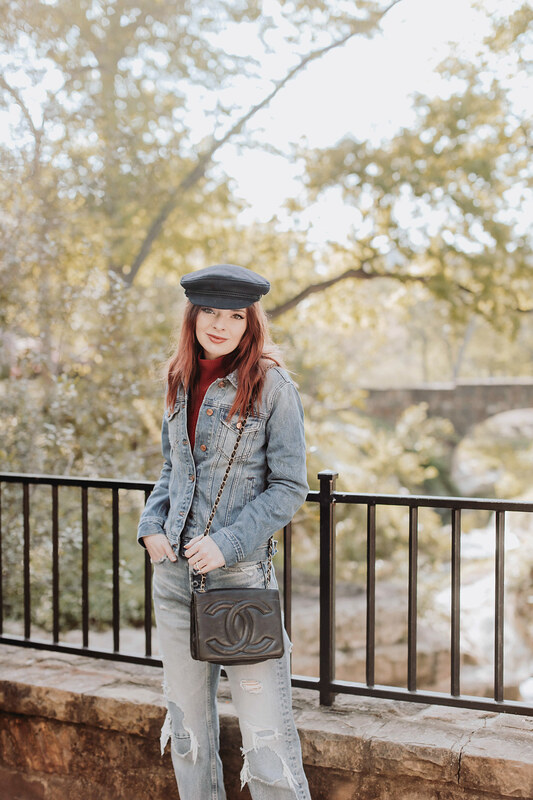 I love the all denim look with the small pop of burgundy! It keeps it interesting! I love this outfit, babe! Very stylish outfit with fabulous shoes! 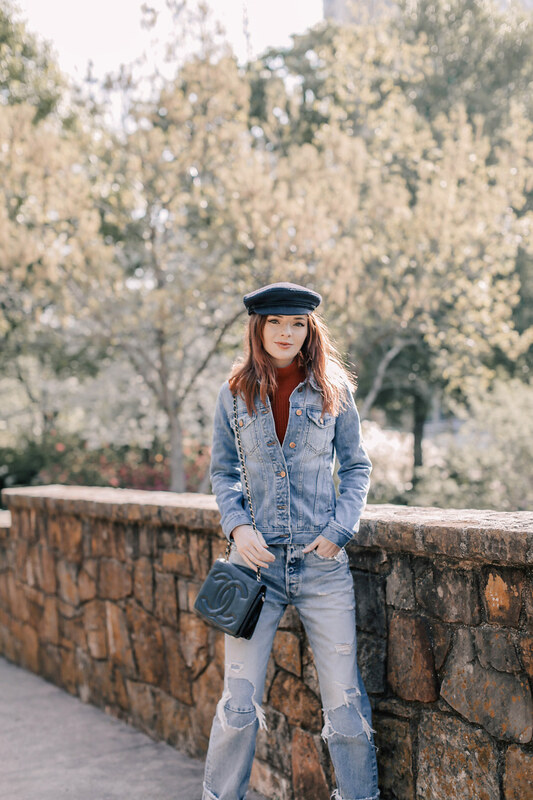 All about this denim on denim look! And that hat is so cute; the perfect accessory! Omg I’m literally obsessed with your style! Great picks and love this denim look! The denim tux is perfect. I refuse to call it a Canadian tux (being Canadian) . 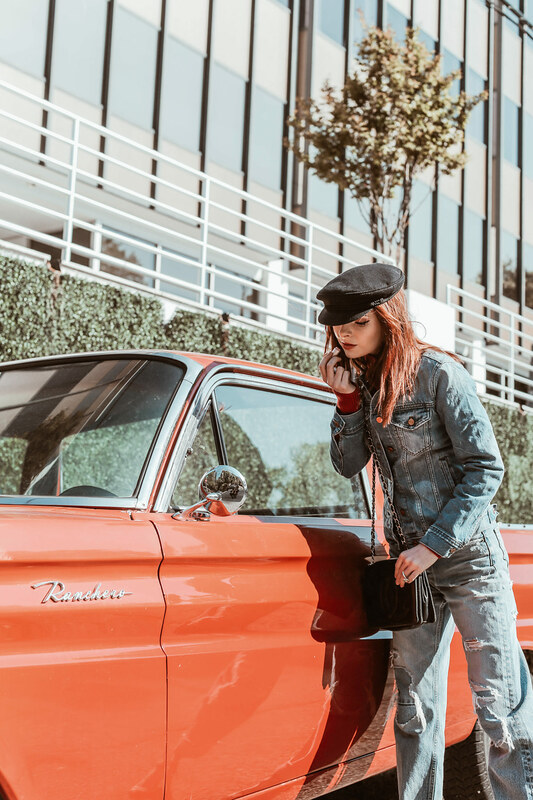 The entire look is very retro with the car and hat ! A great and very chic outfit!